Science Experiments and Math combined! Today we had so much fun for our Fun Experiment Friday! I felt like I didn't really hit the science experiments too hard last year except for certain units so I really wanted to bring them alive this year! I was thinking of switching off between a foodie Friday and an experiment Friday. 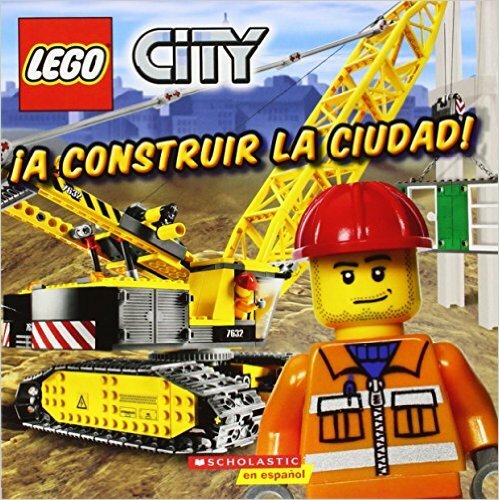 We also always read a fun book that goes with our unit (today was a Lego's book on how to build a city) since we are in our Community Helpers unit right now and then they have to write about their favorite part without any help from me (prepping them for those On Demand Prompts). Now for the fun experiment!!! The experiment is called Perfect Pennies which goes really well with our math centers this week since one of the centers was all about exploring the penny. They had to make penny rubbings and then find and circle the pennies. 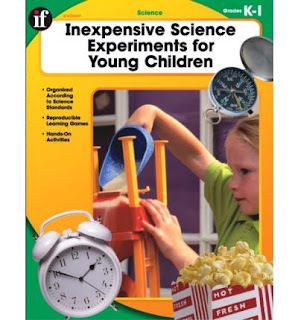 I started out by telling them how they were going to be scientists and scientists have to think about their experiment first and what they think would work. So, my question was: We have these pennies but they are really dirty. What do you think we could use to clean them? I wrote down their answers on the board and most said water and soap. 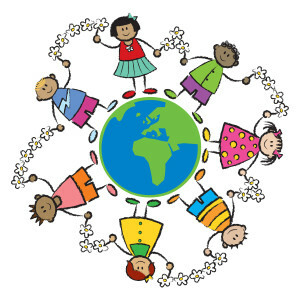 One little girl, to try and change it up, said, first you need paper then water and soap. They sure crack me up! Then, one boy raised his hand and said my mom uses lemon sometimes to clean. I got so excited and pulled out the bottle of lemon juice I had hidden in a bag. I asked if there were any other ideas and since there weren't any we jumped right in. I picked a special helper to go to the sink and pull our paper dispenser 2 times (that's the max they are allowed to pull it or we will run out of paper the next day). She came back and I sent her off to her table with the lemon juice. Then I called on another quiet helper to do the same thing, get the paper towel and then take a little of the vinegar. The next person took the ketchup and finally our our last table had to mix up some vinegar and salt. I then sent them off 2 at a time to get their paper towel and get to scrubbing! They were so excited when they saw their pennies getting cleaned up. They were so engaged and having fun while cleaning! After the experiment we talked about why these substances were able to get their pennies clean and learned a little bit about acids! They were amazed and I even let them take their shiny new penny home! 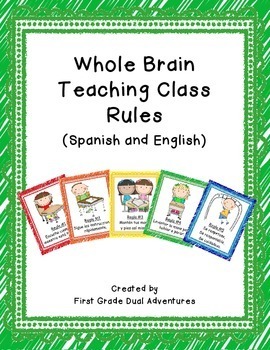 Student engagement WBT Whole Brain teaching style!!! I am so excited to link up with you all! It's my FIRST linky party!!! 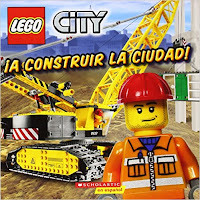 I was reading on some blog or on the WBT website the best ways to make it more fun and engaging is to change our voice. 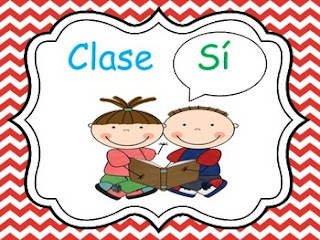 I will do a witch voice or a deep voice or a high-pitched voice or an animal voice where we say clase wow wow (What a dog says in Spanish) and they say: Dime wow wow. Clase Brrrrrrrrr (rolling the r) -- dime brrrrrrrrrrrrr (rolling the r). It's kinder and they definitely need practice on rolling their r's! When the kids do it WRONG!!! I was lucky enough to be able to co-teach with 2 amazing teachers at my school this summer for our SEAL (Sobrato Early Academic Language Model [amazing by the way]) and I learned this from one of the teachers. Whenever the students do not do something the way I want I say: LO BORRAMOS (Let's erase it). And I show them how it should be done and we do it again the RIGHT way!!! At the beginning of the year it was so much fun and my first time doing this because I didn't have to get mad or yell or scream and we were able to have FUN practicing the RIGHT way to do things in our classroom. One of my students favorite things we practiced was the right way and wrong way of sitting in our chairs. We practiced the wrong way (or the Pre-school way). I had students lying over their chairs, under their chairs, leaning back, etc. I told them a story about how I had a student who was leaning back and then fell and had to go to the hospital and that is why we NEVER lean back in our chairs. I always modeled the wrong way and then the CORRECT way. If I had 1 or 2 students doing it the wrong when we were practicing the right way, I would just say anyone who isn't following directions will have to practice at recess or miss choice time. That corrected that real fast! 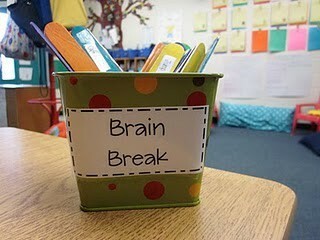 I hope you have a great rest of the week and Keep pushing the Whole Brain Teaching. As Coach B says: Power to the Teachers!!! 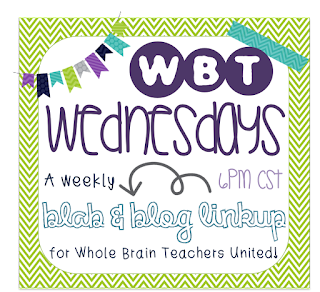 Check out the linky party going on here and don't miss the weekly chat on blab.im on Wednesdays!!! Droppin' Knowledge Blog with Heidi! How I use beach balls for letters, sight words, syllables and number recognition practice! I am going to jump right in! It's been way to long! I wanted to share what I've been working on! 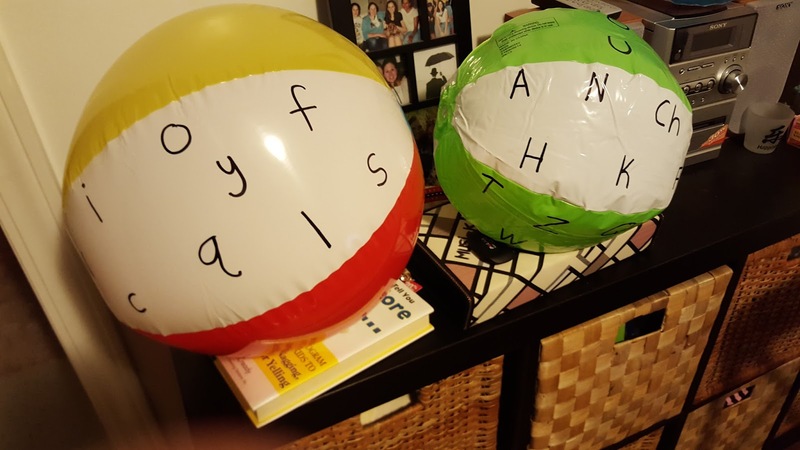 I might be slightly obsessed with the Dollar Tree and their beach balls! 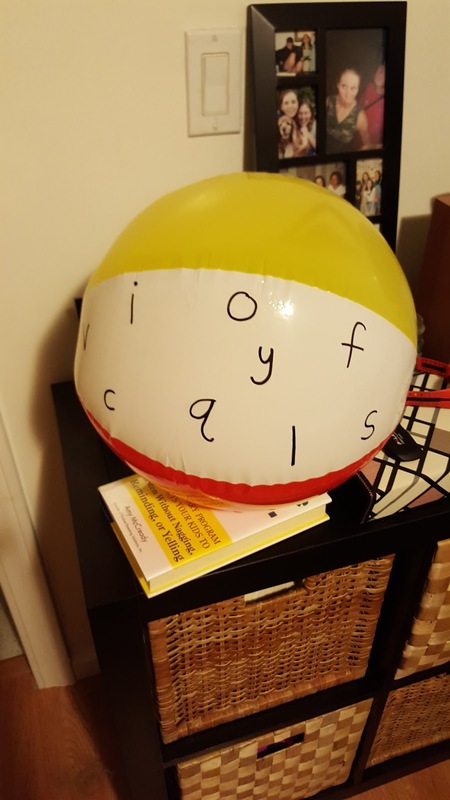 I started last year and made a ball full of our sight words. Here's a pic of the lowercase letter ball and uppercase letter ball I made. I like to leave a little bit of air out of the ball so it's easier for the kids to catch. Whatever letter their thumb lands on when they catch the ball is the letter or syllable or sight word etc. they need to read. I love using this as students come in from recess. I can pass the ball to someone who came in quietly and sat down professionally on the carpet or walked to the carpet after getting some water. I am soo excited for this week! I know it's the week before Christmas break and the kids are excited but with our elves bringing us a kindness letter from Santa every day, doing a fun project everyday I am keeping them busy! After we travel to each place we fill out our classroom passport on how they celebrate in each country! 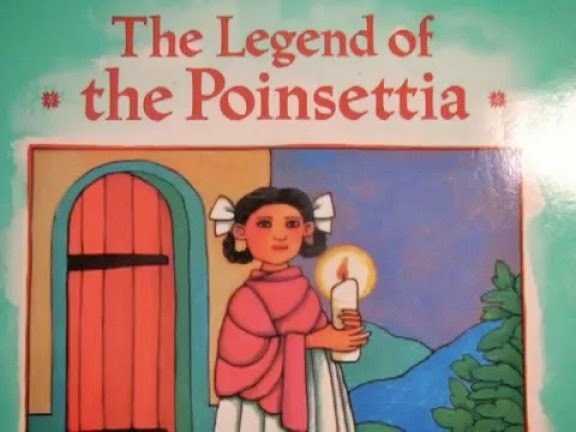 To start off our week of Christmas around the world, we traveled to Mexico in our pretend airplane and I read the book: La Leyenda de la Flor de Nochebuena (The Legend of the Pointsettia). 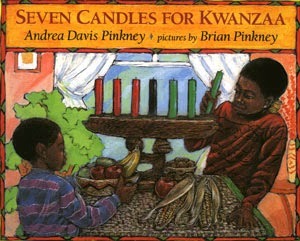 We traveled to Africa and read: Seven Candles for Kwanzaa. Then we made the mkeka's or straw placemats. I did it guided and being in kindergarten a few struggled with it. They had to fold the paper in half and then cut up to the line from the folded side. 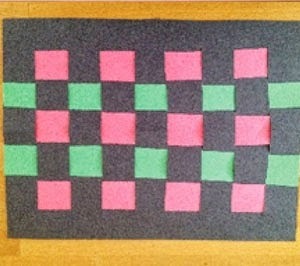 Then, they had to weave the red and then green paper over and under, over and under. Each paper had to follow the opposite pattern. Tomorrow we will be traveling to Israel to Celebrate Hanukkah. I'll keep you posted! 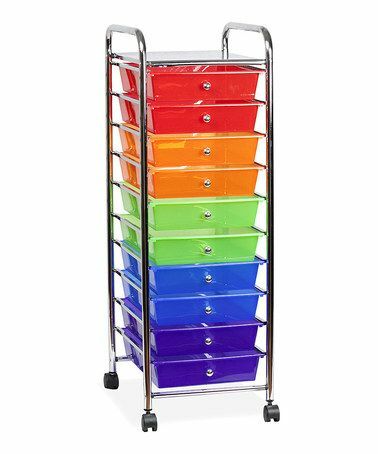 Michael's 10 drawer rainbow cart sale! I am soo excited to share with you Michael's 10 drawer rainbow cart! I picked up two of them (after seeing them on soo many blogs) this past Sunday. All this week they are on sale 40% off and then with your teacher discount (15%) you can get an even better deal on them! There was a special 20% off coupon on Sunday from 3:30-7:30 pm on your entire purchase including sale items so I was able to pick up both carts for $60! Amazing! I can't wait to use these for Math and Literacy Work stations. One cart will be for Literacy Stations (Debbie Diller) and one will be for math work stations (also Debbie Diller). Peace, Love and Kinder uses her Rainbow carts as cubbies for her kids since the drawers can be taken completely out! Sorry for the missing in action. It was a bit stressful and very busy Spring. I'm hoping to get into blogging with more frequency! Life: Does anyone else get overwhelmed during the Summer with all of the things they want to accomplish and get done? I have been trying to keep up with all of the reading I wanted to get done but it's been challenging with teaching at an awesome Summer Science camp! I am seriously learning more than the kids and they teach me soo much everyday. The most interesting learning for me has been that my Summer students are from a higher economical status from the students I have been working with the past two years. I have read books on working with students in poverty but I really had never experienced teaching students who were more affluent and did not know how different this Summer would be for me. My eyes have been opened! 3. 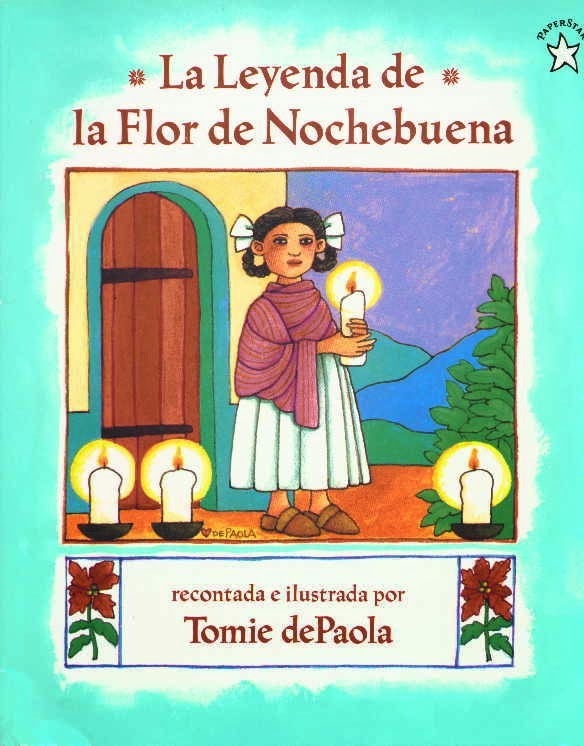 Re-read (read it last Summer) Daily 5 and Cafe and figure out how I am going to combine or plan to incorporate Literacy Stations and Daily 5. 6. Go through brain breaks on pinterest and create my own popsicle sticks. 7. Go through my Transition Magician book and create popsicle sticks for quick transition ideas. 8. Get into my new classroom at a new school and start setting everything up! And also get the 30+ boxes we have in our house out of here and into my new room! Hope you enjoy all the blog stalking as much as I am! 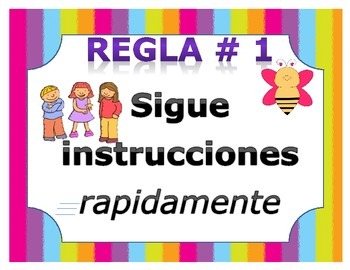 I am a Bilingual Kindergarten teacher and a wife! I met my husband in Spain and lived there for 4 years! We moved back to the states in 2010 to try out the American lifestyle together. I am so excited to be back in the world of teaching and doing my thing in the classroom! What happens in Kindergarten...lasts a lifetime! Mrs. Loftis' Little Learners Living the Dream!